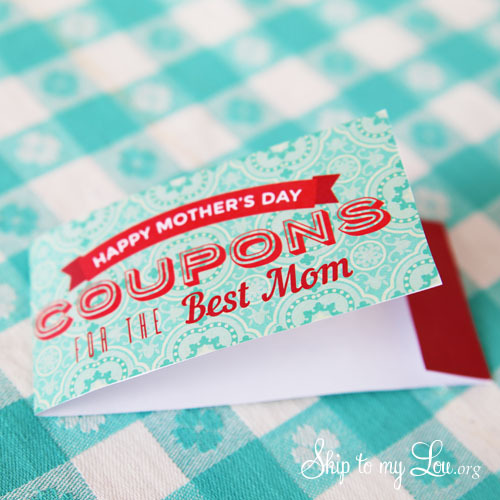 These printable Mother’s Day coupons will be a much appreciated gift! 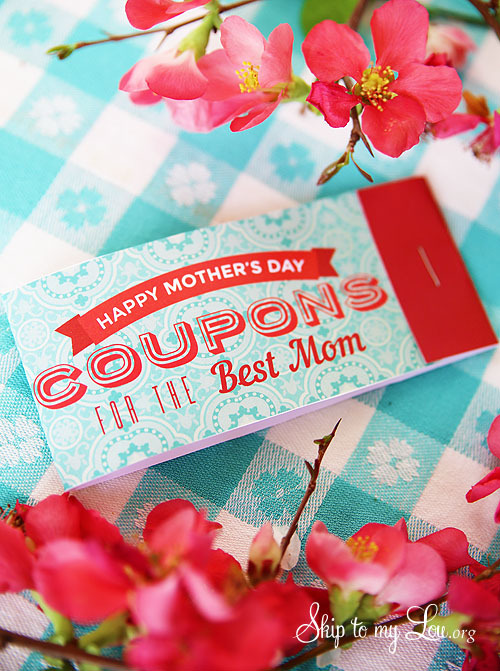 This DIY coupon book is super easy to assemble so you can give mom just what she needs for Mother’s Day! If you want to make a handmade gift for Mother’s Day you might want to check out these 10 Mother’s Day Gift Ideas or these handmade gifts for mom. She is sure to love these Mother’s Day Coloring Pages. Don’t forget the handmade gift guide can always be a great source of inspiration for giving! Download and print in color the PDFs. I wasn’t able to print it correctly at home. The colors weren’t quite right and I wish I knew why. I emailed the files to Office Max and they printed them for me. I printed two of the first page, one on card-stock and then one on regular copy paper. This way the coupon holder was more sturdy when printed on card-stock. Cut out the holder and all the coupons. These files are large, so you will want to send them in two separate emails. Fold the holder along the solid red part and then fold the opposite end just over so it tucks slightly into the red flap….like a matchbook. Trim the coupons so they fit into the holder. Tuck them under the red flap and staple. Now you have the perfect Mother’s Day gift! Don’t forget about Dad! 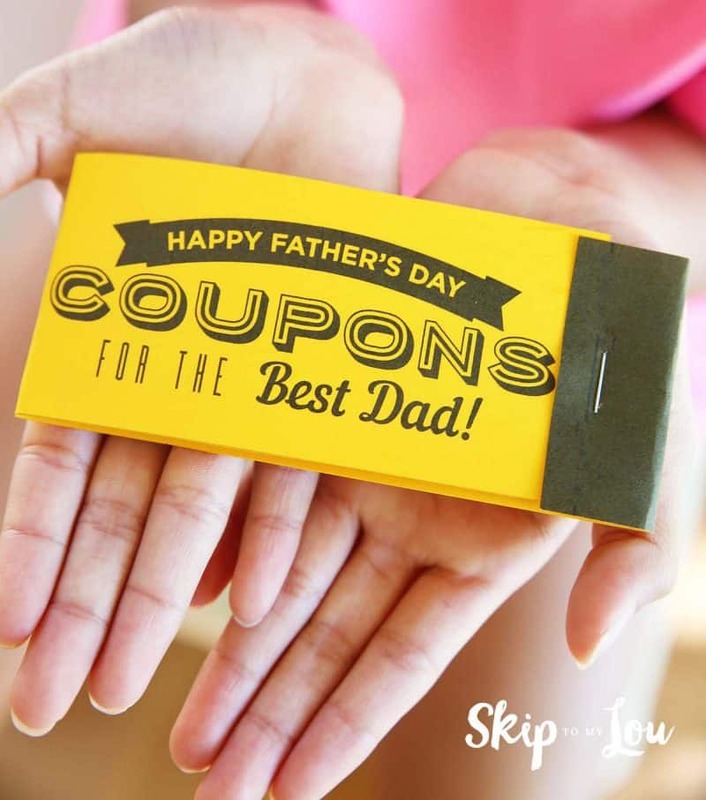 Here is a DIY coupon book for him. 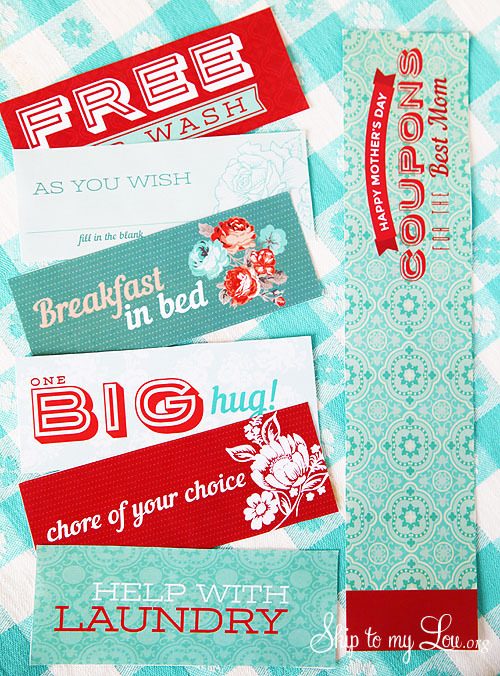 These coupon books are easy gifts that are useful! Mom and Dad will appreciate all these coupons. Now you are all set with the perfect Mother’s Day gift! She will enjoy this gift all year long! 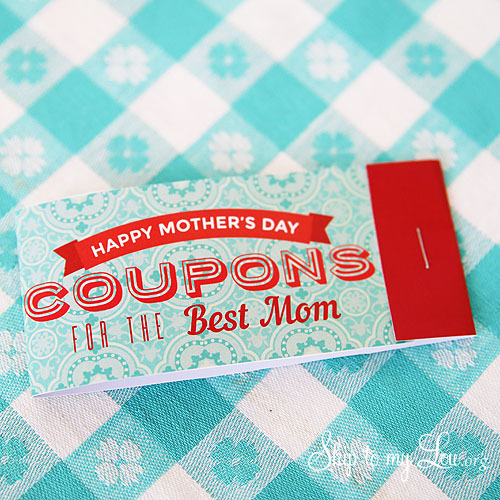 would love to have mothers and fathers coupon book. We have a father's day one on my site too. these are wonderful and talented. I love this!! With your permission, I would like to change it to be for a grandma, can you tell me what fonts you used? 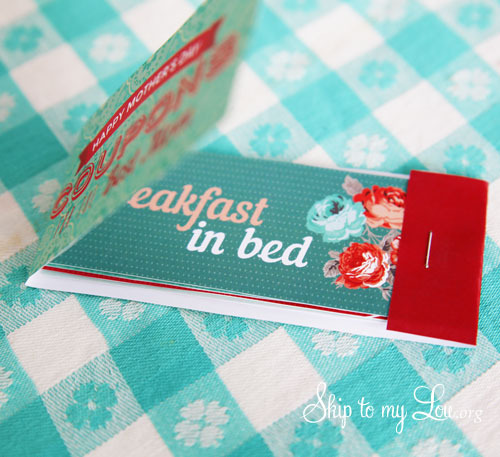 I would love to receive this coupon book! It is such a cute idea - I included a link to it in my post today of 22 REALLY last minute ways to make Mother's Day special! I think my readers will love it - and your blog! Cindy, these are gorgeous. Loved them so much I created my own for mother's day as in Australia we use the words 'Mum' instead of 'Mom. Would it be possible for KTLA 5 News to have permission to use your pictures of the coupon book for Mother's Day? If you can please email me back to the email given. Thanks for the consideration! Are these available in the australian spelling of Mom (MUM) ?? They're a great idea just wish it was spelt differently! These are beautiful! I love them! I've included them on my Mother's Day Gift round-up. Thank you for your inspiration! thank you for sharing! these are a great idea for my grandsons to help me put together for their mom. they love being able to have a gift of their own for her--she is always so thankful and happy to receive them and see the joy in their faces. makes my day, too! Oh My gosh! I love these! The design is so cute, but I really love how the fold and make a book!! So clever and adorable! this are amazing, Cindy! Love them & all the colors. These are SO pretty!! I love how these turned out Cindy! !